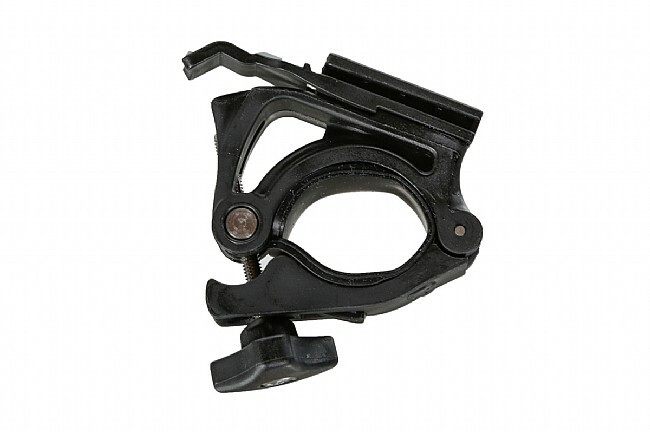 This NiteRider Handlebar Clamp Mount is compatible with Lumina, Mako, and MiNewt Cordless lights. Too bad that this bit of plastic costs this much. But it does what it's supposed to. I have some older NiteRider Lumina lightsthe ones with the hard-to-use mounts. This design replaced those, and now they come with strap mounts similar to Light and Motion Urban lights. I commute on several different bikes and I can move this mount from one to the other with ease. This used to be the standard clamp with the lights, but NiteRider switched to a rubber mount. This mount does not move around at all, keeping the light positioned exactly where you want it. I replaced the new included mount with this original style and I am happy I did. It's a very stable light in all conditions and on all surfaces. I had one of the older Nite-Rider lights with the friction snap-into-place brackets and I was never able to get it tight enough. This works will with my older Nite-Ride and is a much better design. Stays in place, no worries. I use it, of course, to mount my bike's front light. The original was actually stolen by some idiot (what's the point of a light clamp sans lamp?). This one is compatible, but slightly less easy to remove. Hopefully, this will discourage other idiots. It was easy to mount, even in total darkness and 30 degree temps outside. I'm happy.